So there is this post by a fellow Utah'n going around about how the Disney movie "Frozen" is a secret and subversive plot to further the "Gay Agenda". I've seen it in my Facebook newsfeed at least 10 times today. Usually with an added comment resembling "WTF is this lady's problem?" I disagree with her about how the movie is a hidden plot to forward the "gay agenda," but I have to admit that her observations about how being forced to hide something your whole life, and being convinced that exposing your true self would endanger you and others around you, would be something that is relatable and recognizable to many LGBT folks, are actually pretty spot on. The problem is, she spends 22 (yes I counted) paragraphs of posturing before she tries to make her argument... and then ANOTHER sidebar about how she really, truly doesn't hate gay people. Then she proceeds to pour hate sauce over her whole argument and makes it completely unpalatable. By then, I, like many others, had determined that the author had some... issues. That being said, I left Frozen with many similar observations about the film's empowering message. The difference is that I found them to be awesome and inspiring instead of subversive and harmful. I don't think the movie is specifically about being "gay", but I do think that it was intentionally built around the themes of being "your true self" and not the "self" society tells you to be. I doubt the parallels to current events escaped the folks at Disney. Still, that theme doesn't just apply to LGBT people, but can apply to anyone who is deemed "different" and consequently marginalized, oppressed, or repressed because of who they are. Side note: I think it is funny that people think there is a hidden "gay agenda." The agenda is anything but hidden. Acceptance, equal rights, equal treatment under the law, safety, love etc. Hell, there are giant parades where the goals are written on signs and often covered with glitter. That's not very secret. P.S. In case you missed it, I did take issue with one part of Frozen. Regardless, it is easily among my top 3 Disney Movies ever. Beautiful, moving, and fun. 5 Stars. Oh, what the heck, 10 Stars. ... you got through six? Kudos... I don't think I made it beyond the first couple lines before thinking this lady was off her nut. Also, I find glitter to be a good way to keep things secret. All my top secret documents are written in glitter pen. Since that Mormon woman closed commenting on both her posts, I might as well get my thoughts out here for at least someone to see. That lady's post was one of the most ridiculous and misguided things I've ever read. Anyways, now that I've said the obvious and gotten that out of the way, I can continue. The reason I have such a huge problem with her blog post is because of the corrupt and extremely hateful nature she put into her writing, and this was evident in her conclusions about certain aspects of the movie. Even though she may say any contempt was "unintentional", it was obvious it most certainly wasn't. The vigor she put into pointing out every single tiny little detail that, to her, screams "GAY", demonstrated how very biased her intentions were. Now as for her examples: I'll just tackle a few and after, it won't even be remotely hard to see how flimsy her arguments are if thought out rationally. First, the whole idea of Elsa being a lesbian is flat out preposterous. The movie is based on the Hans Christian Andersen story, The Snow Queen. Now his story certainly wasn't about homosexuality. The Snow Queen in his story wasn't gay. 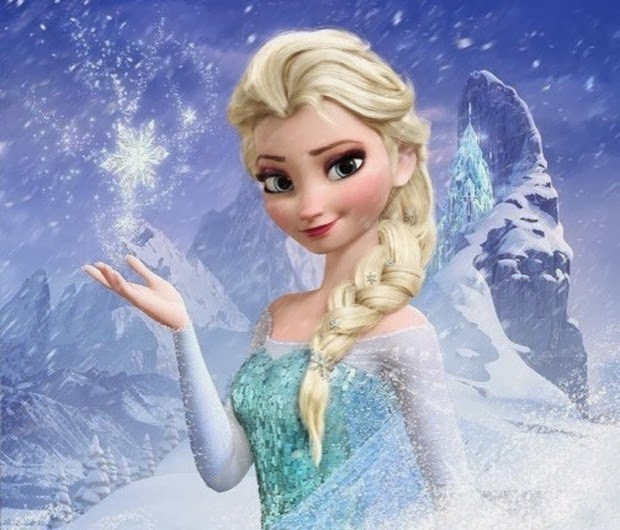 Yes, Disney's Frozen is an extremely loose adaptation, but do you think the producers of the movie would really choose to make a classic children's story character to allegorically embody homosexuality? The whole thing about the song "Let It Go" really bothered me too. It's about a girl who's drinking in her newfound freedom. It's about Elsa finding the courage to accept the fact she is a strong, independent woman. Elsa not having any romantic interest in the movie just furthers this point. Anna is there to prove to girls in the end, the "one" might not end up being the one, and that's okay. Reality has people who will trick you, cheat you, and lie to you, and it's part of our human life. In contrast, Elsa is there to prove specifically that girls don't need men to be happy. Elsa was never talked up seriously by any guy in the movie, and she's perfectly fine! Girls are allowed to be independent and they don't have to wait around for some prince to show up to make them happy. Yes, all those things the Mormon woman said about hiding your whole life because of some terrible secret and then having the courage to come out and accept yourself are all very relatable to the movie, and that's what the movie meant to convey. However, the movie did not explicitly promote a gay agenda, and the points mentioned above certainly do not merit any sort of specific homosexuality, unlike Kathryn's views. I don't think in any sense, any aspect of the movie can be symbolically interpreted as homosexually liberal; Kathryn, on the other hand, freaked out about the most mundane details and attempted to shove it down the reader's throat in the very first paragraph: "The gay agenda to normalize homosexuality is woven into Disney's movie Frozen not just as an underlying message - it is the movie." Her declaration that the whole gay agenda thing "is the movie" was just disgusting, bigoted, and squeamishly paranoid. Now, none of this is meant to attack her decision to post her opinion; it's certainly okay to hold that view, of course! Not saying it isn't, I mean, it is 21st century America. But to brand something in a completely defacing and hateful manner so decidedly? As if just because you believe in God, that gives you the right to dictate what is right and what is wrong, and what is true and what is not? I don't think that really flies with me personally. > Isolation is not the answer. > Don't be afraid of who you are. > Don't let fear control you. > It's wonderful to be you, just you, your best you, and even if it bothers people at first don't worry because they'll either go away or come around eventually. > Open up, let people in, and have a grand time doing it! > Lean on each other. > Care about other people. Go into the storms and over the barriers people have erected around themselves to make sure they know that you're there for them and you care about them no matter what. > Make the best of every bad situation. > Sometimes you'll find allies and enemies in unexpected places. I cant believe you wrote a whole article on this. Its not only an attack against this woman but its also written from a very judgmental point of view.